Bill English is Investigator in Charge with the Office of Aviation Safety at the National Transportation Safety Board (NTSB) and he walks us through the NTSB investigation of the July 6, 2013 crash of Asiana Flight 214 at San Francisco International Airport, from the first call to the investigative hearing December 11, 2013. We talk about the assembly of the team and go-bag preparation, gathering initial information, and transport to the site. Bill continues with the on-site command post set up, securing the scene and harvesting perishable evidence. A major role of the Investigator in Charge is organizing the other agencies, manufacturers, support organizations, and other parties involved such as the airport authority, FBI, and Red Cross. Besides the key task of evidence gathering, the team must keep the public informed. That’s also an objective of the investigative hearing, which introduces factual information into the investigation and shows the public the progress being made. Over the course of the next six months, all the information will be assembled into a final report containing analysis and conclusions, probable cause, and safety recommendations. At another public meeting, the draft report will be presented to the Board for their deliberation and adoption. Asiana docket with documents associated with the investigation. Bill has been with the NTSB since 1999, and has been the lead investigator on numerous major aviation accidents in the US and around the world including the Continental Airlines 1404 accident in Denver, the 737/Legacy midair collision in Brazil, UPS flight 6 B747 fire in Dubai, a US Navy contracted B707 tanker, and most recently the Asiana Boeing 777 in San Francisco. 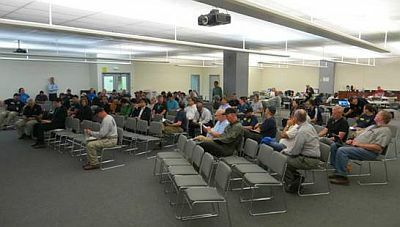 Bill is also the NTSB’s resource for unmanned aircraft investigations and developed the civil unmanned aircraft accident investigations manual. He worked for the FAA as an air traffic controller, quality assurance specialist, and in navigation procedure development. He is a certified instrument flight instructor and commercial pilot in single and multi-engine airplanes, flew aerial observation, corporate, and electronics test aircraft and has extensive experience in flight inspection and advanced navigation technology. Prior to joining the Board he was a contributing editor to IFR Magazine. Bill graduated from Embry-Riddle University in Aeronautical Science and his graduate work was in Geospatial Intelligence at Penn State. The RAN has a ceremonial acceptance of their first MH60R. We talk to Oussama Salah from Oussamas Take about airline developments following the Dubai Air show, as well as the latest news for aircraft orders in Libya. The follow up segment expanding on developments in the region, will follow in the next episode. Oussama Salah Google Plus, Oussama Salah Facebook. 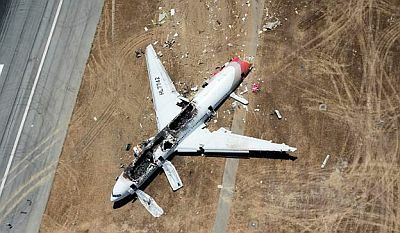 This entry was posted in Episodes and tagged accident, Asiana, NTSB on December 18, 2013 by maxflight. Loved the Susie the Cirrus Christmas story! Great work.